Since the beginning of time, childbirth was never what any one would ever call ‘easy’. But what you may not know is that 6.1 million women in the U.S alone cannot get pregnant. There are endless reasons why women have trouble with childbirth and this is why surrogacy has become so popular. Surrogacy is what many people call the most selfless gift that one can give. Simply put, surrogacy is an agreement where a woman agrees to carry a baby and give birth for someone else or a couple who cannot do it for themselves. This entails in vitro fertilization of the sperm and eggs of another couple, thus creating an embryo outside of the human body. The embryo is then inserted into the surrogate in order for the surrogate to successfully carry the child. What is so special about surrogacy is that the surrogate does not transfer over to the child any of her genes, so that she is only a vessel for a couple to be able to have a baby that is completely their own. In this day and age, the LGBT community are increasingly turning to surrogacy in order to have a child of their own. It is one of the most succesful methods of childbirth where at least on of the couple is able to have a genetic connection to the child. In this past year alone there has been a twenty-eight percent increase in documented surrogacies around the world, this is because it is becoming more and more accepted both legally and societally. However, there are still some countries that do not promote surrogacy. 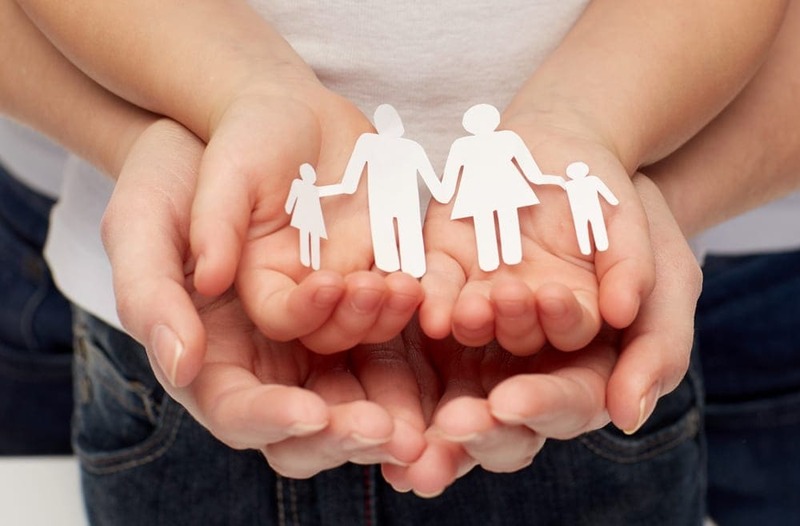 In many states like New York for example, only altruistic surrogacies are legally allowed. Altruistic surrogacy means that a surrogate cannot be paid to carry a child for another person. Only her medical expenses can be covered. As you can imagine, it is not simple to find someone to be a surrogate for free. Nor is it simple to actually ask someone to be a surrogate for you, knowing fully well that pregnancy will entail a leave of absence from work, nausea, exhaustion, hormonal changes and so much more hardships. That’s why when Nicole and Kevin found out that this was the only viable option to be able to have children of their own that they would be genetically related to, they were not optimistic. They would never have been able to believe that someone would actually offer to become an altruistic surrogate for them and give them the greatest gift of all. 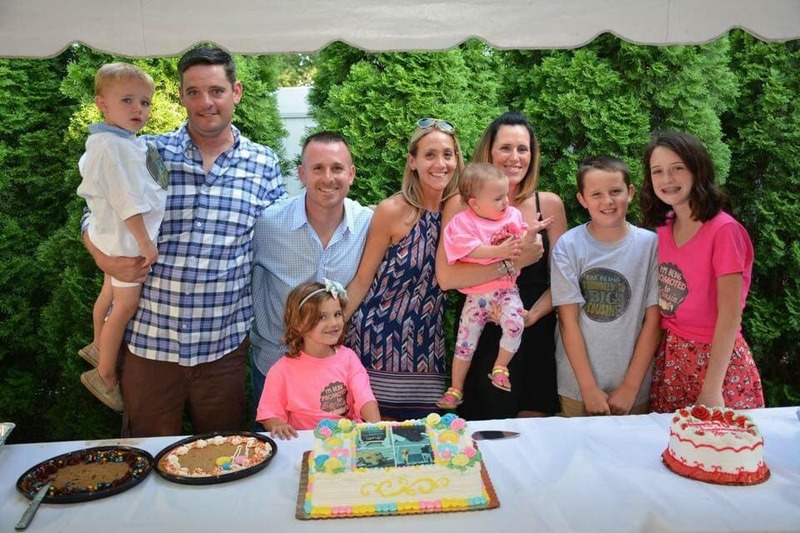 Kevin and Nicole Barattini always dreamt of starting a family of their own. But sadly, something was standing in the way making their dream a reality. 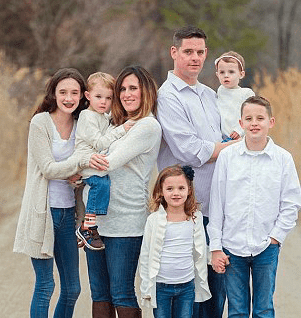 After years trying to conceive with no success, they realized that they needed to seek medical help in order to understand what the problem exactly was and why Nicole was not getting pregnant. The results not only shocked them, but scared the couple into realizing that their dream family might never come true. Meanwhile, in East Moriches, New York State, Lianna and Shawn were having a bit more luck in the family department than the Barattini’s. Lianna, aged 37 and Shawn aged 40, had already created a family of five children together. Lianna and Shawn always knew that they wanted to make a big happy family together. However when Lianna became pregnant again she would not be adding a new addition to their own family this time. This pregnancy would be a little different, this time Lianna was carrying some one else’s baby. Lianna and Shawn were good friends with Kevin and Nicole. 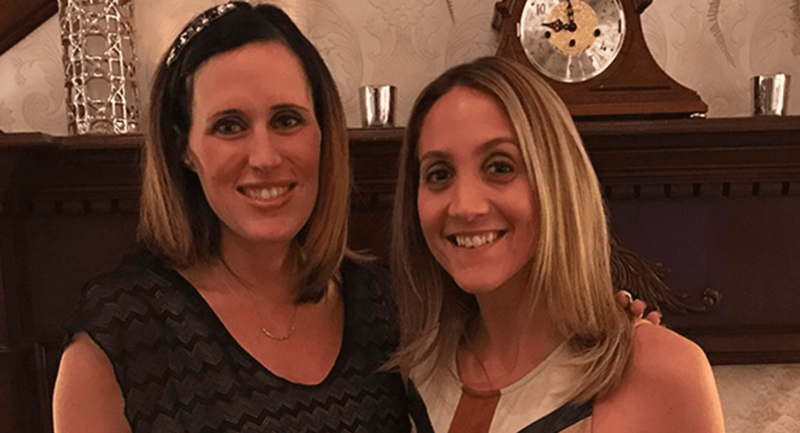 When Lianna and Shawn heard that Nicole could never become pregnant due to a medical problem, Nicole decided to step up and help Lianna get her dream family. Nicole became a surrogate for Lianna so that they could finally get a baby of their own. However, unlike most surrogacies, Nicole updated Lianna and Shawn every step of the way so that they could be more involved in the pregnancy. Their friendship grew stronger has the baby grew bigger. 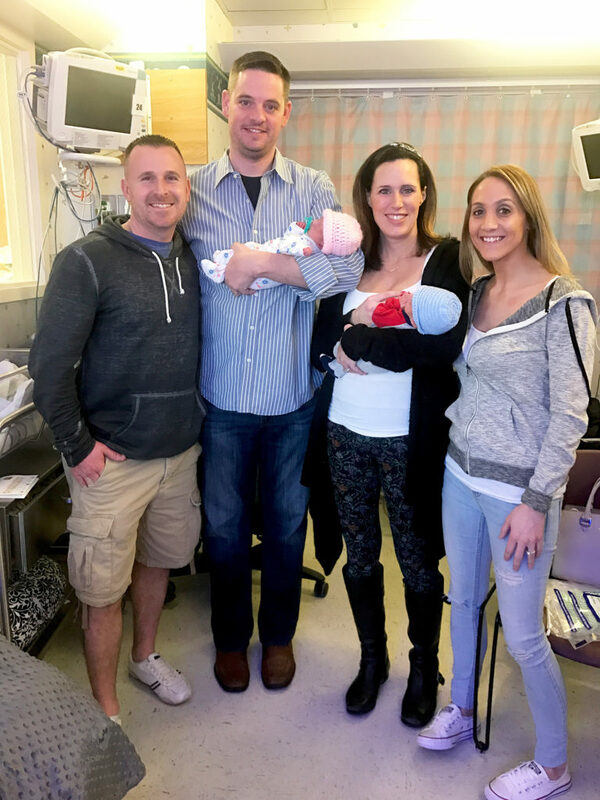 Because the two couples had such a close relationship, Kevin and Nicole were able to attend all of Lianna’s doctor appointments. Dr. Richard Klein, Lianna’s obstetrician, especially enjoyed their visits because he was not used to two couples coming in to every appointment together. Dr. Klein appreciated the happy and excited vibes that both couples brought to each appointment. 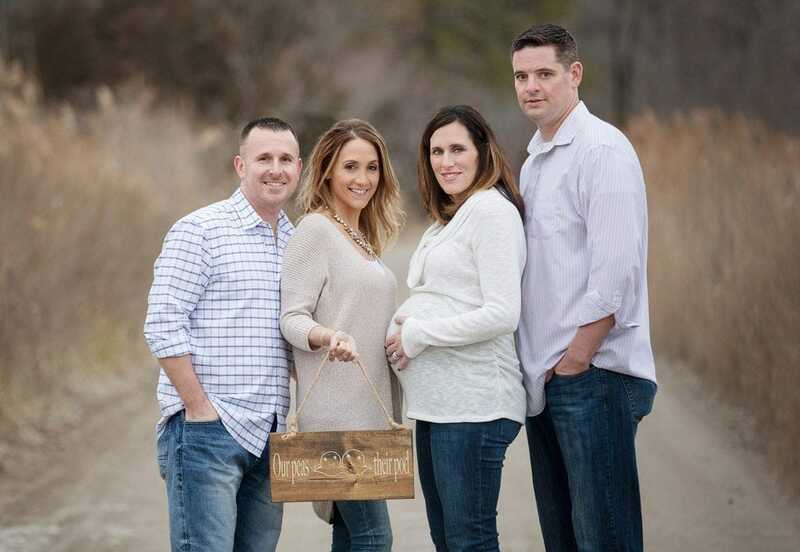 Both couples prayed for the surrogacy to be successful and for the baby to be healthy. Finally, in July 2016 Kevin and Nicole’s dream came true and the embryo was planted. 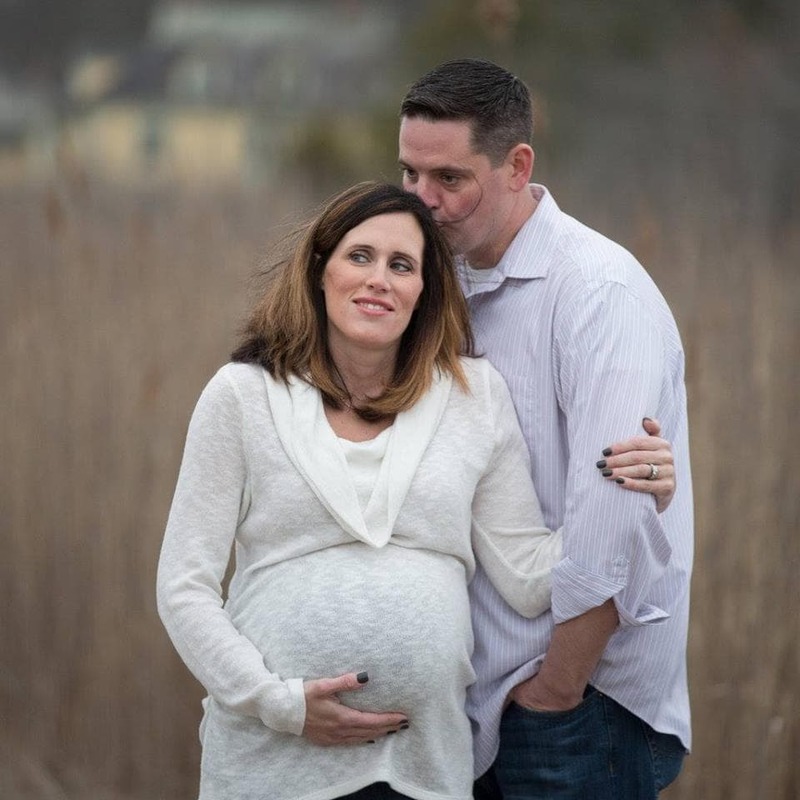 Nicole and Kevin waited in suspense while Lianna underwent ultrasounds and other tests. Lianna on the other hand was much more calm, having done this five times already. This wasn’t Lianna and Shawn’s first time around the block but they understood and sympathized with Nicole and Kevin’s fears, it would be their first baby and they had never even done an ultrasound before. Not to mention they had been waiting for this moment for a very long time. Kevin and Nicole fell in love and got married in 2010. They decided that they would settle down in Smithton, New York in order to plant the seeds for their dream family to grow. However after years of trying with no results, Kevin and Nicole started to get nervous. The doctor explained that due to Nicole’s previous health conditions from when she was a teenager and the pills that she took in order to combat her sickness, she would never be able to get pregnant. 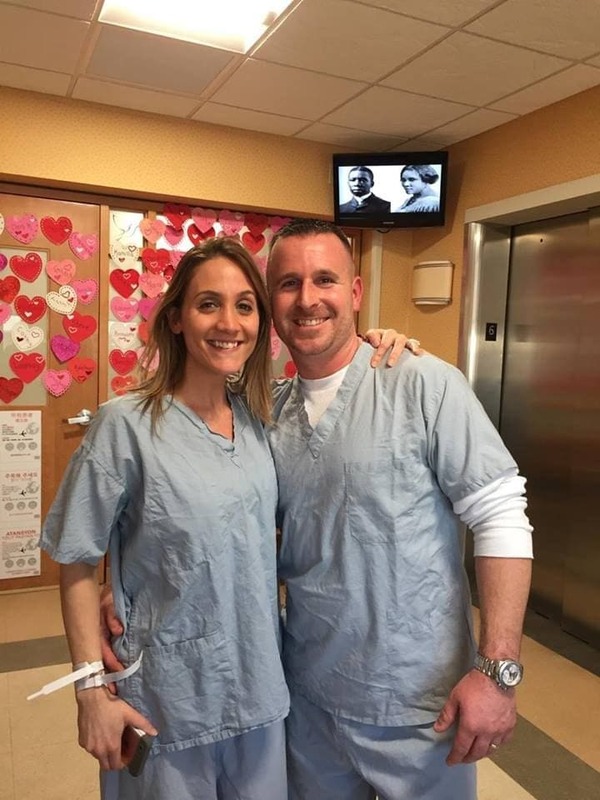 Nicole came back from the doctor and had to break the news to her loving and supportive husband that her previous health condition was holding them back from ever making a baby naturally. She was so scared to crush his dreams, but the second Kevin saw Nicole’s face when he came home from work, he knew that something was wrong. No one wants to be the bearer of bad news, but Kevin and Nicole were strong and they powered through this hardship. Nicole later explained to the reporters that she technically could conceive a baby but it would be at the expense of either her or her baby’s life. The doctors explained to Kevin and Nicole that the pregnancy would not be a healthy one and it posed too big of a risk to try and conceive a baby in a natural way, the doctors guided Nicole and Kevin to consider other methods that would have the same desired result of Nicole and Kevin becoming parents. Nicole was lost, her dream of becoming a mother was being torn away from her. She could not believe that she would not be able to conceive a baby with Kevin. She tried to convince Kevin to try to conceive anyway. She thought that she could handle the pregnancy and maybe it wouldn’t be as bad as they said, despite of what the doctors informed her. Kevin quickly shut that idea down, it was not worth putting Nicole’s life in danger, he convinced her that there are other ways of having children. 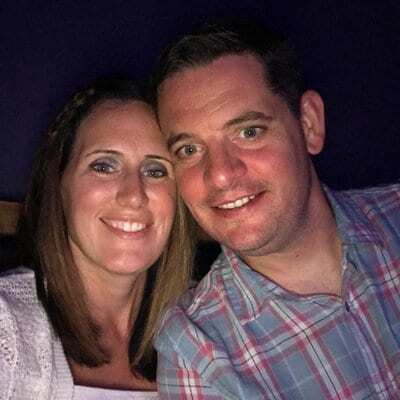 Kevin and Nicole went to countless meetings with fertility specialists in order to get a better understanding of their remaining options. The specialists informed Nicole that their future baby would not carry the same disease as Nicole, and that they would be succesful in making a new baby using her eggs. With this new information, Nicole and Kevin came to the conclusion that surrogacy would be the best choice for them. Nicole proceeded to freeze her eggs, but soon after, a new roadblock stopped them in their tracks. 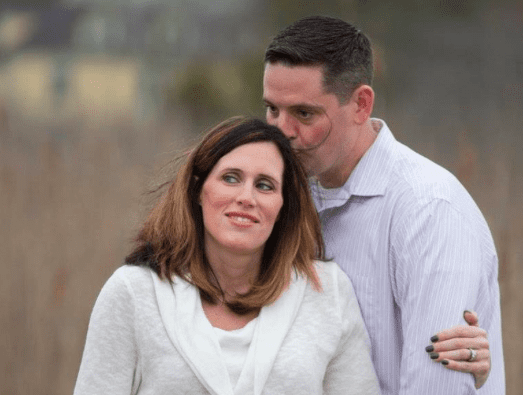 Kevin and Nicole simultaneously researched other options, they wanted to ensure that they were taking the right path towards making their dream family come true. However, the more that they looked into the option of adopting, the more they realized that it was not going to be possible. Kevin and Nicole checked and rechecked their budget, but they soon realized that they simply just did not have the funds available to adopt. That was when the surrogacy option became a reality. It was confusing at first for Kevin and Nicole, they didn’t understand why it would be so difficult and expensive to adopt. There are so many children in need of a home all over the world, and yet there was so much bureaucracies, legal fees and even agency fees involved in adoption from other countries. They thought to themselves that this process should be made easier, but the fees were just too high for Kevin and Nicole to move forward with adoption. Kevin and Nicole were not better off with the surrogacy option. They soon found out that hiring a surrogate could cost at least 75,000 dollars. Kevin and Nicole could not put together that kind of money. Getting desperate they researched other ways and were informed that mothers or sisters tended to surrogate for a family member in need. But sadly, Nicole had no sisters and her mother was no longer of the age to get pregnant anymore. Since Kevin and Nicole lived in New York State, they would not be able to legally pay a woman to be a surrogate for them even if they could afford it. 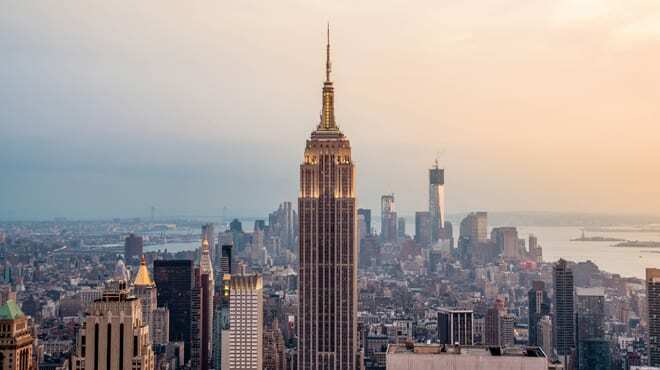 In New York state it is illegal to pay someone to become a surrogate for another person. Therefore, Kevin and Nicole only had one option left. They needed to ask someone to be a surrogate for them but with a catch, they would need to do it for free. Nicole and Kevin didn’t have much hope. What does it mean to be a surrogate mother? How could they ask someone to do this immense ‘favor’ for them. They began researching in more depth what it meant to be a surrogate in order to understand the immensity of their request. When a woman is a surrogate for another woman, it means that the eggs and sperm would belong to Kevin and Nicole. Doctors would insert the embryo, that was created via in vitro fertilization, into the surrogate. The baby would have no genetical connection to the carrier. 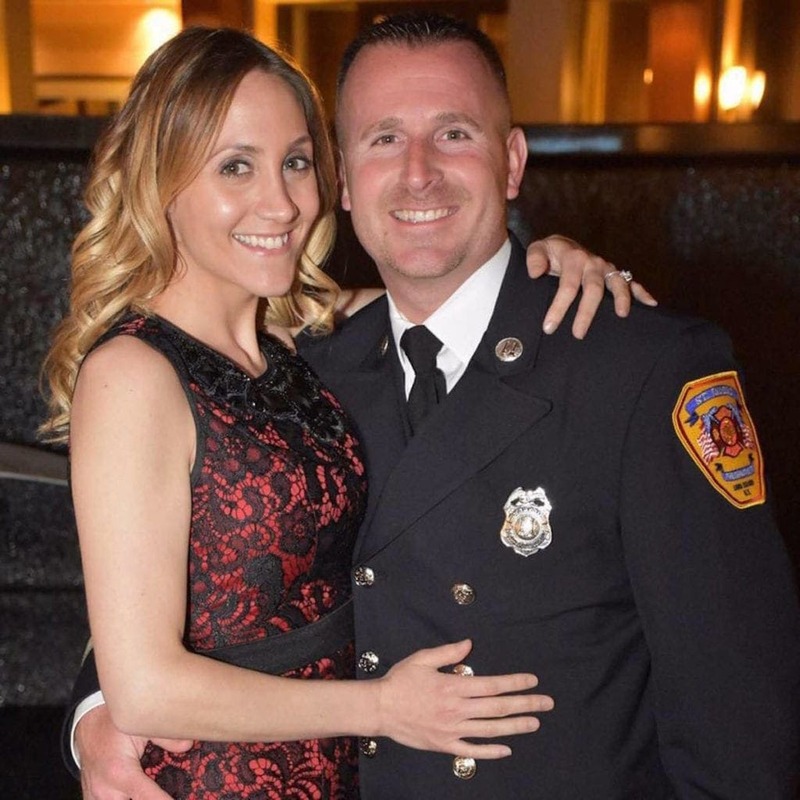 When word spread about Kevin and Nicole’s predicament, they were overwhelmed with the amount of support and care that flowed in. Couples were offering left and right to help in some way or another. A few women even offered to be a surrogate for Nicole, knowing fully well that they would not be paid to carry Nicole’s baby for 9 months. Despite their friends’ good intentions, all of the tests to check if a candidate was healthy enough to be a surrogate came out negative. None of Nicole’s friends could be surrogates. Lianna had a mutual friend with Nicole, who told Lianna and her husband about Nicole and Kevin’s trouble having children. When Lianna heard the news, she had just given birth to her second child. She was inspired and wanted to help, but she also had dreams of her own. She therefore came to the conclusion that she would be a surrogate one day, but not until she was done having all of the children the she dreamt about first. Becoming a surrogate is not simple. 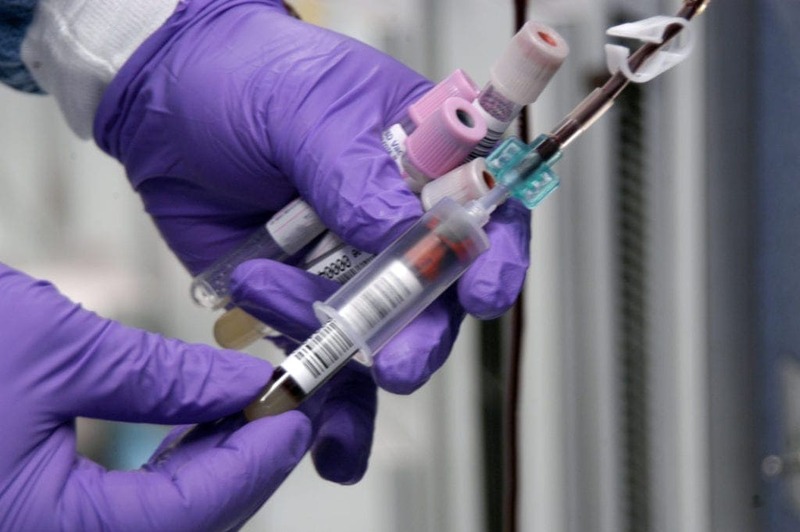 There are tons of tests to ensure that the carrier is completely healthy and in good shape. Furthermore there are also tests to determine that the carrier is also sound of mind and in a good mental state. All these tests cost money, making the process of finding a suitable carrier long and expensive. Many women try to become a surrogate but are turned away due to the extremely strict guidelines. Kevin and Nicole were not doing very well, they tried to get out with friends to pick their spirits up but their struggle never left their minds. 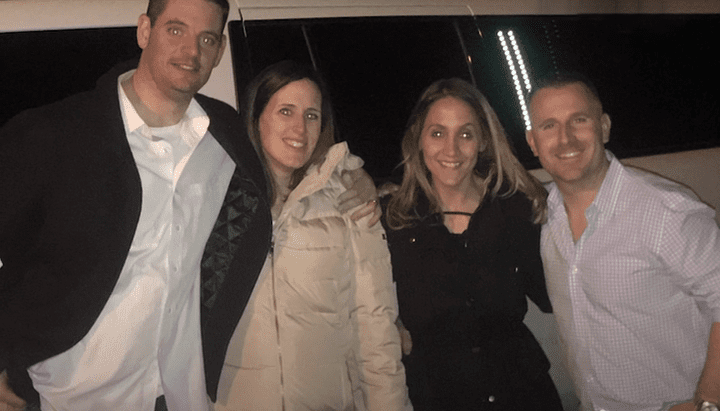 One night in December 2015, Kevin and Nicole went out for dinner with Lianna and Shawn Fives. The Fives knew Kevin and Nicole for years and felt badly for them about their predicament. They really felt for them, especially because the Fives were blessed with such a big and beautiful family while Kevin and Nicole were still waiting and struggling to create theirs. During the meal, Lianna listed to Nicole explain how she was almost ready to give up on her dream of having children. Nicole and Kevin had been through so much and they didn’t see any viable possibility of successfully having children. That was when Lianna decided that she was going to help Nicole fulfill her dreams. Lianna explained to Nicole and Kevin that they already had five children and still wanted one or two more. Nicole and Kevin couldn’t even fathom having five children, let alone wanting more. Nicole and Kevin quickly understood what that Lianna meant by wanting more children. Lianna offered to carry Nicole’s child for her. 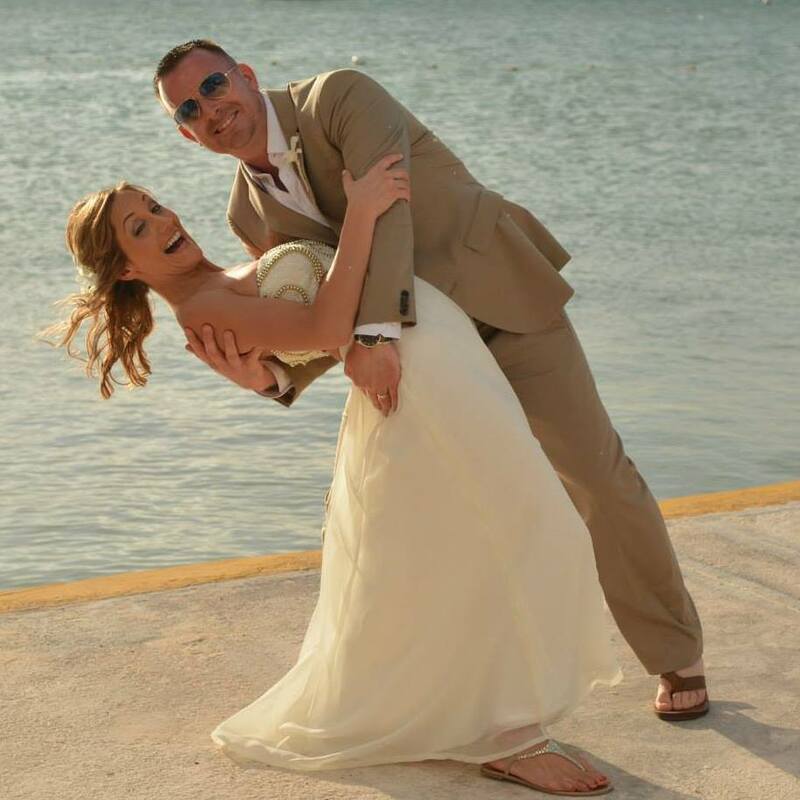 Lianna and Shawn had fulfilled their dreams of making a family of their own and they were ready to move forward with helping others fulfill that exact same dream. Lianna and Shawn had known Kevin and Nicole for years and knew how much they struggled with the fact the Nicole could not have children. The two couples were elated when they understood the enormity of Lianna’s commitment to help. 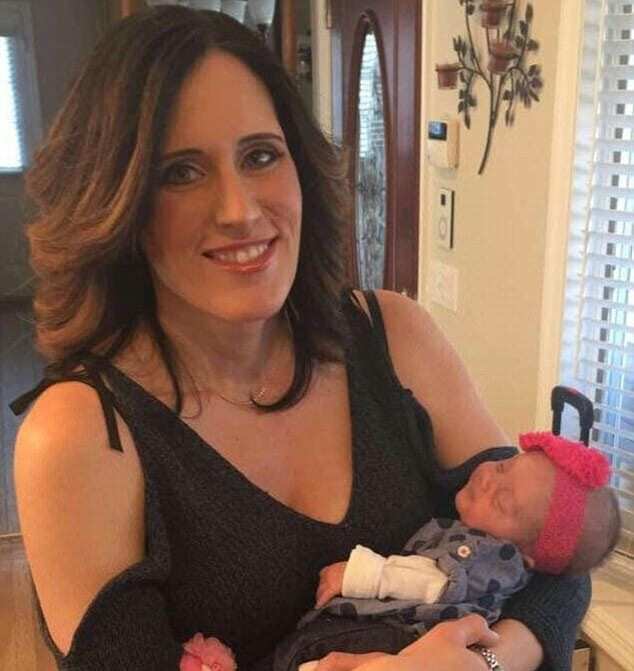 When Lianna was asked about her decision to help Nicole by carrying her baby for her, Lianna responded by saying that she was given the greatest gift of all. She had an incredible and loving family and now she had the opportunity to pay it forward. 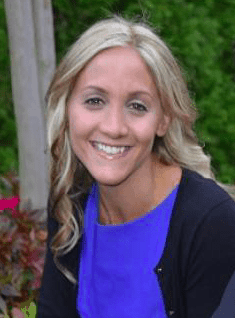 She had watched Nicole struggle for years with not being able to have children of her own and Lianna felt blessed to be able to help her get the family that she always wanted. Little did Nicole know that Lianna had thought about becoming a surrogate for a long time, she already had five children of her own but she loved the idea of creating life. However, her five children were a already handful. So Lianna turned to Shawn with a proposition. If Shawn would step up with the kids at home and help out more around the house, then Lianna would be able to be a surrogate and carry a child for another. 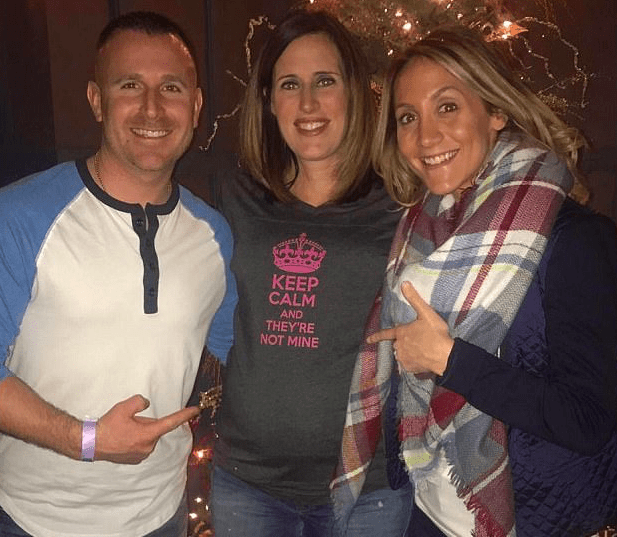 Kevin and Nicole immediately accepted Shawn and Lianna’s offer to carry a child for them. They didn’t think twice about the most generous offer they ever received. They immediately proceeded to go through the various medical tests in order to ensure that Lianna would be healthy enough to carry a baby. Lianna passed test after test while Kevin and Nicole prayed. Their excitement soared as the laawyers and the doctors gave the final okay for the Lianna to move forward with receiving the embryo. Kevin and Nicole waited impatiently for what seemed to them like years in order to hear if the embryo had successfully been inserted and if Lianna was pregnant. Nicole and Kevin felt like all of their hopes and dreams were riding on this one last route to having children. However, when the news finally came, it was not what Nicole nor Kevin were hoping for. Their dreams were dashed and they could not believe it, Nicole was not pregnant. It failed. Kevin and Nicole were told not to despair. The doctors told them that this was not abnormal and sometimes it takes a couple tries for the embryo to stick. With renewed spirits from the doctor’s news, Kevin and Nicole prayed that this time it would work. Nicole went back to the doctor for round two, hoping herself that it would be succesful as well. When all the waiting was over, the doctors told the two couples the good news. 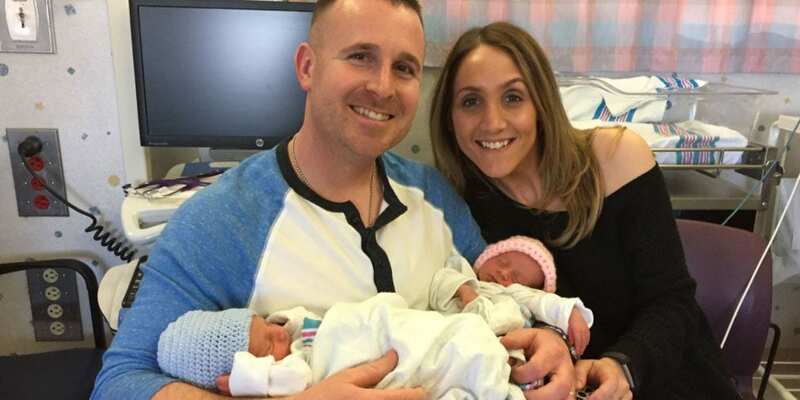 Nicole and Kevin were now on their way to becoming parents, they finally got their miracle. Not only One, but two! When Kevin, Nicole, Lianna and Shawn were in the doctor’s waiting room, desperately waiting to hear the good news, they never thought that the news would be this good. Not only was Lianna successfully impregnated, but she was pregnant with twins! Kevin and Nicole were speechless. They were just told that they would get to be parents to twin babies, who would soon be coming into this world, forever changing the lives of Kevin and Nicole for the better. Kevin and Nicole gathered all of their families and their closest friends along with the entire Fives family to share the good news. They were so fortunate to not only be having a baby but they were actually going to have twins! Nicole and Kevin felt so thankful to the Fives. 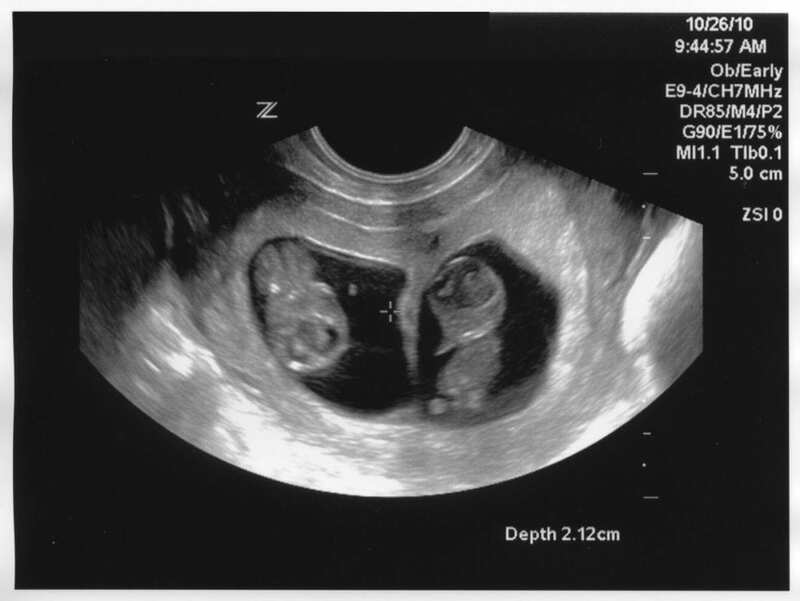 They thought that they would never have children, and here they were telling all of their family and friends that they were about to have two. Kevin and Nicole became the proud parents of a beautiful boy and girl named Dominic and Luciana on February 10th, 2017. 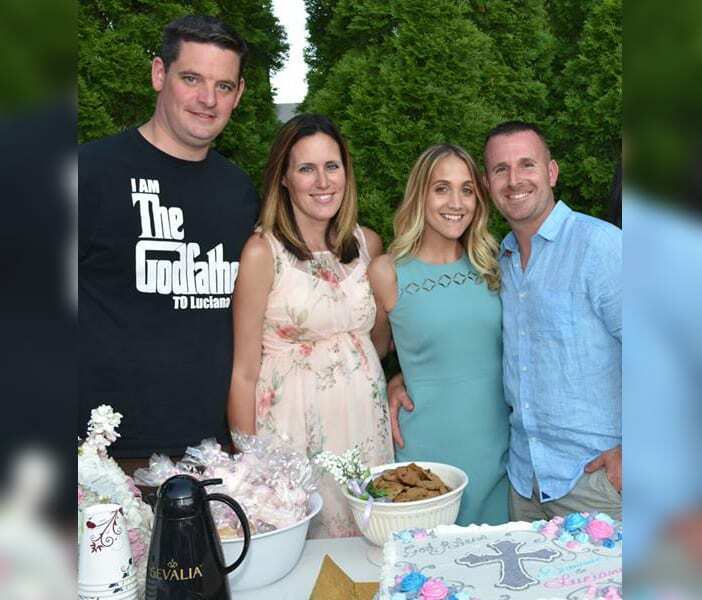 Lianna and Shawn were told that they would receive the honor of being Dominic and Luciana’s godparents. Their friendship had never been stronger and they knew that after this they would be friends for life. 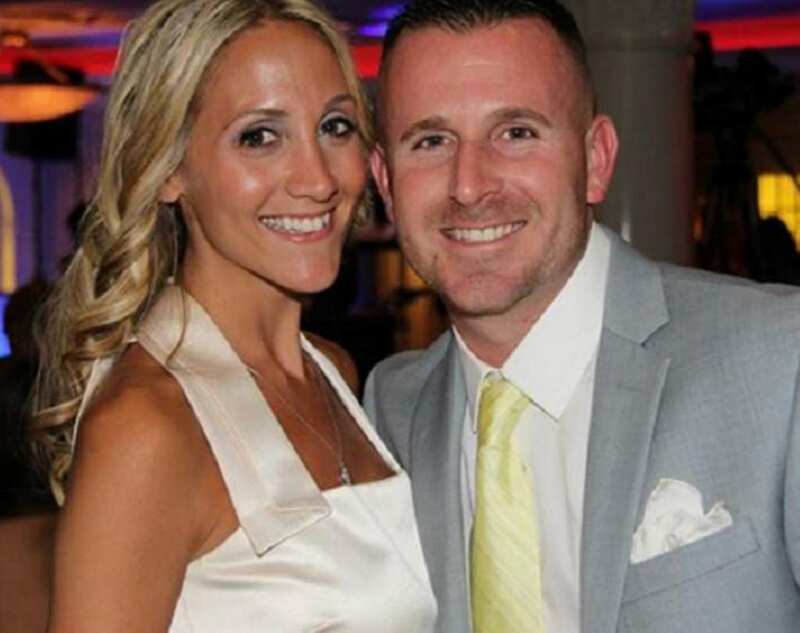 Kevin and Nicole decided to pay it forward and are trying to make surrogacy legal in New York state. They are working hard to ensure that others can be as blessed as they are.